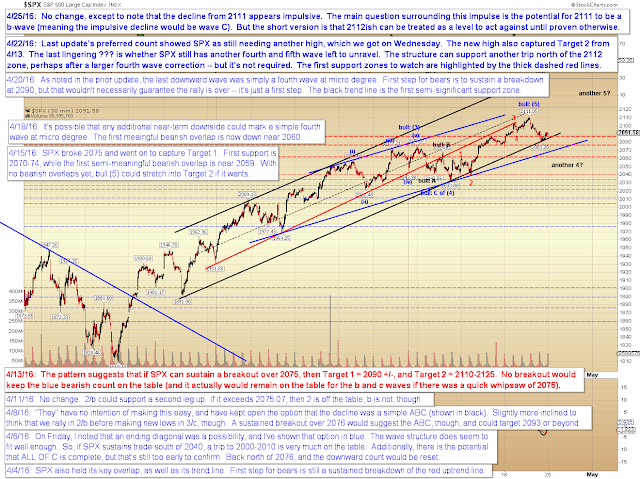 Pretzel Logic's Market Charts and Analysis: SPX Update: No Material Change. For the Market, Anyway. 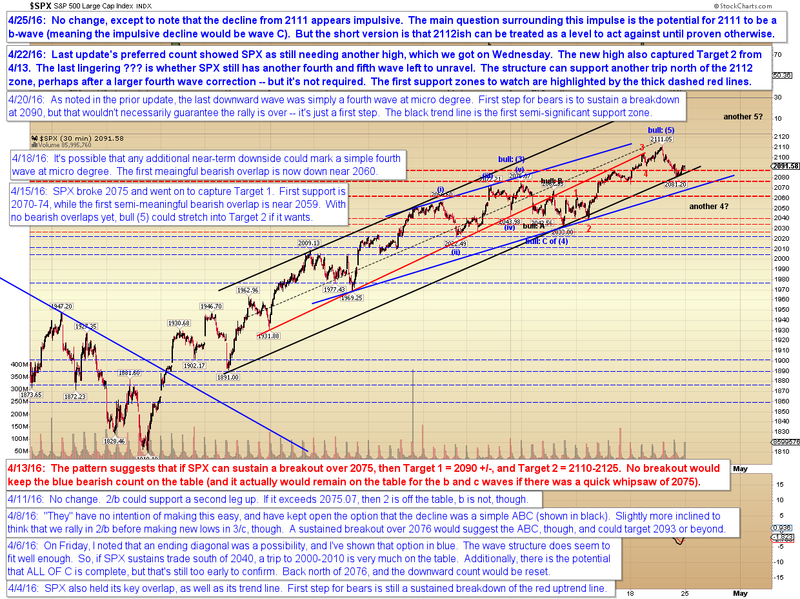 SPX Update: No Material Change. For the Market, Anyway. Today's update is going to be short. My father passed away on Friday evening, so I haven't been doing much charting this weekend. Essentially, there's been no material change from the last update. All I'll add down here is this: If you haven't spoken to a loved on in a while and you suddenly feel the urge to call them, then do it. Call them as soon as you can... don't wait another day. I was fortunate enough to speak to my father on Thursday night -- but if I'd put that phone call off for even 24 hours, that 24 hours would have lasted for the rest of my life. Trade safe.